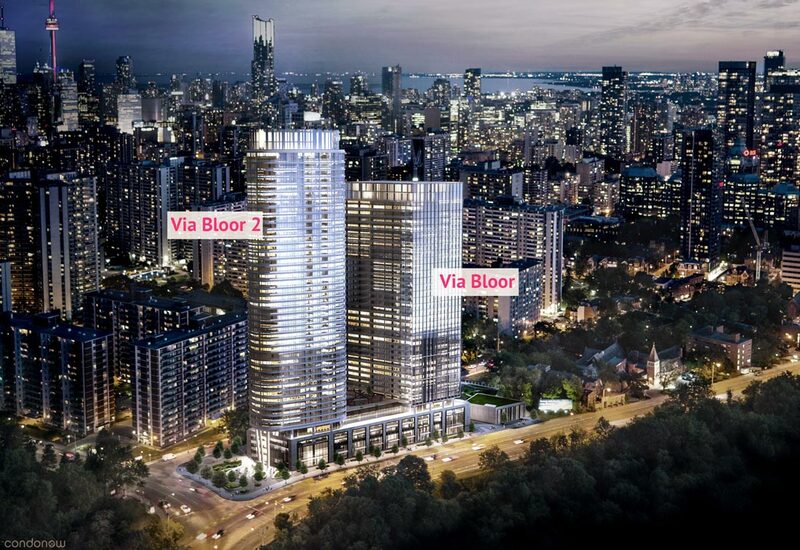 Via Bloor is a tale of two buildings set to become a neighbourhood of people, public spaces and culturally rich experiences. The development is scheduled for completion in 2021. Sales for available units range in price from $366,000 to over $850,000. The development has a total of 374 units. The first tower, which will reach 38 storeys, features one bedroom, one bedroom plus den, two bedroom, two bedroom plus den and three bedroom suites. Floorplans will range from 522 to 1,167 square feet. The second tower is coming later this year and will include additional amenities and retail opportunities. The two buildings were crafted by architects Alliance, with internationally renowned II BY IV DESIGN serving as the interior design firm.